Watch our video introduction to signing into Grata for the first time, or scroll down to read more. 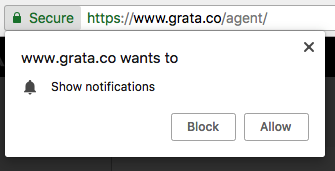 If you don’t already have a Grata account, you will need an Admin for your Grata account to invite you from the Admin Panel. We strongly recommend you use the latest version of Google’s Chrome web browser to use Grata. If you don’t have it, you can download Chrome for free here. 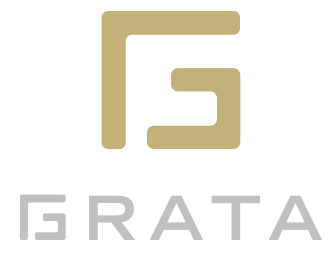 For organizations located within Mainland China, you can normally login to Grata from either grata.co or grata.cn. 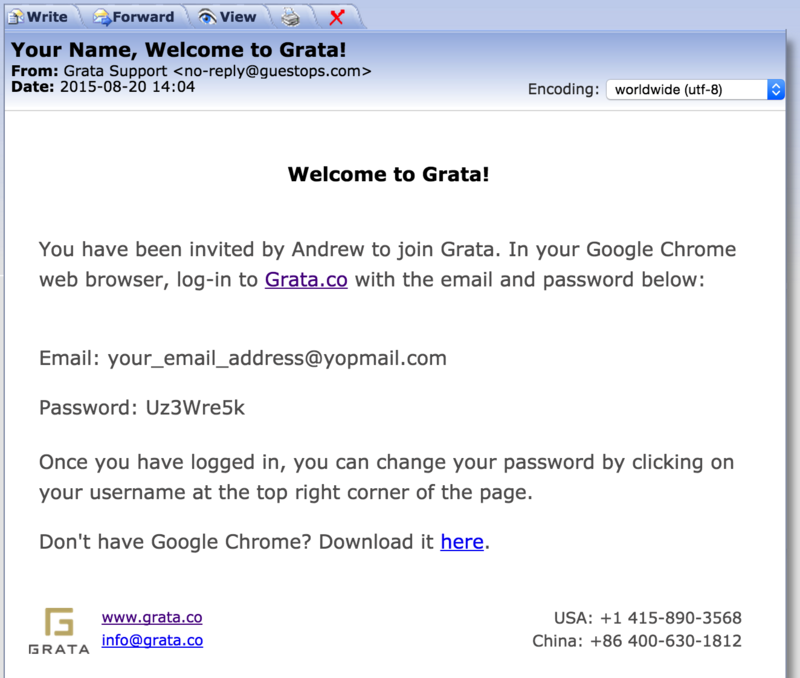 For non-Mainland China organizations, you will normally login from ext.grata.co. Some organizations may have a custom login URL. 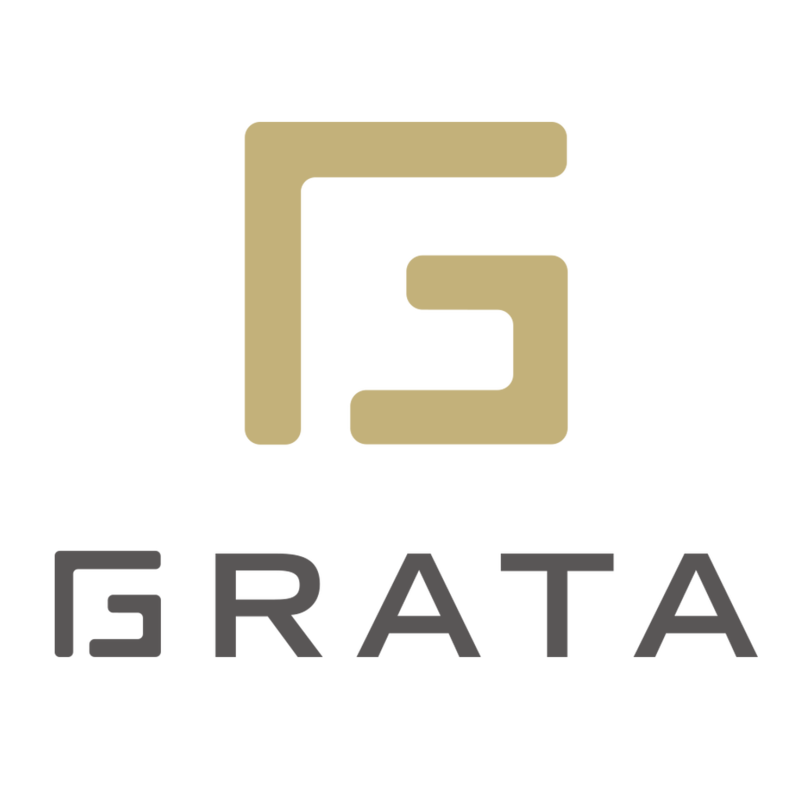 Check with your Grata account administrator if you are unsure. Click the sign-in link at the top right corner of the webpage. You’ll sign in using your email address and password from the email. 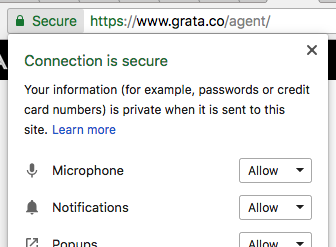 The first time you sign in to your console, you’ll be asked to give two permissions to Grata: one to display browser notifications when you receive new chats and messages, and the second to use your microphone when you want to send push-to-talk messages. Send a message to your WeChat Official Account or web chat plug-in and claim the conversation by clicking on the Next Chat button or selecting your user from the wait list drop-down. Test out your speakers: can you hear notifications? Can you hear a push-to-talk message from your customers? Send a push-to-talk message from the console to your phone: is the microphone working properly? If everything is working normally, then you are good to go! From the drop-down menu under your name in the top right corner of the console, you can edit your notification preferences as well as set your timezone. 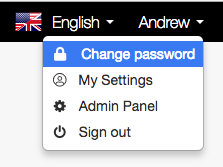 If you want to change your password, click on the drop-down menu under your name in the top right and select Change Password. Please vigilantly protect your login password. Once you’ve finished testing out your console, get in the habit of closing a chat when it’s over. In the interest of good security practice, we also recommend you log out of your console whenever you’re not using it or not at your workstation.